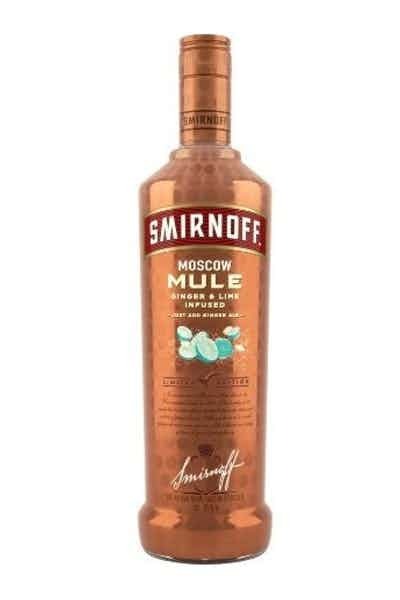 Diageo’s Smirnoff brand has expanded its vodka range with the introduction of the limited edition Moscow Mule flavour, which celebrates the invention of the original Moscow Mule cocktail in 1941. Smirnoff Moscow Mule is a 30% ABV vodka which is infused with ginger & lime, and consumers need only add ginger ale or ginger beer to create the cocktail. Available nationwide from September from US retailers, the new drink joins other Smirnoff limited editions such as Smirnoff Peppermint Twist and Smirnoff Red, White & Berry. Jay Sethi, vice-president, Smirnoff at Diageo North America said: “With the introduction of Smirnoff Moscow Mule, our goal is to give people an easy, ready-to-mix option to create Moscow Mule cocktails at home, that is also fun and flavorful. Smirnoff Moscow Mule has a suggested retail price of $14.99 for a 750ml bottle, and the drink is also available in 50ml bottles.